In a recent post I was talking about alternative colours to my usual range. I’ve since sourced more wool and cotton yarn (acrylic is practical to wash but not as nice to work with) in crazy colours. 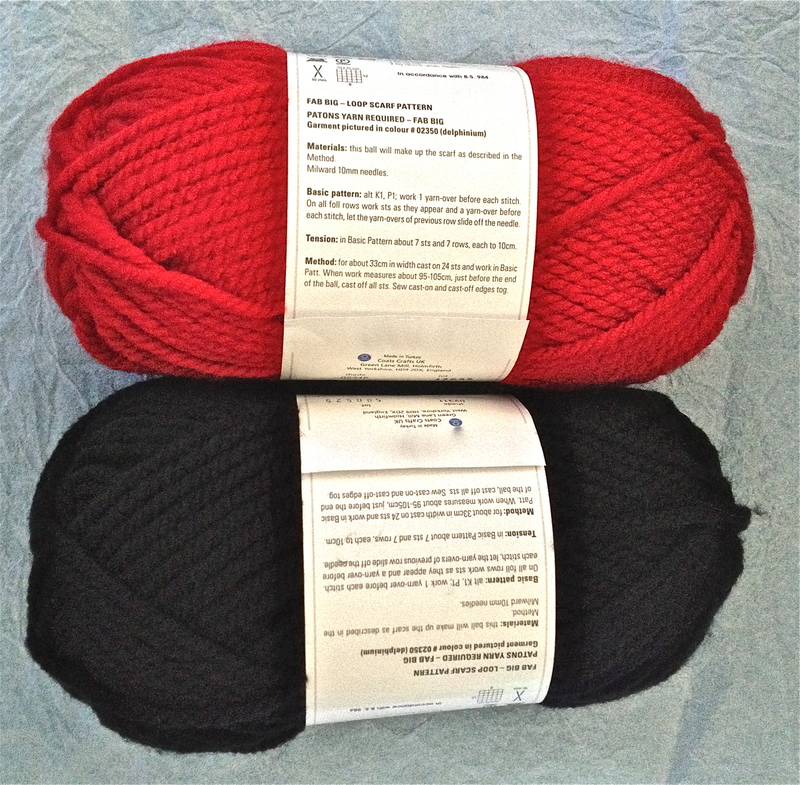 The items in this post use the black and red big yarn (~10mm) I’ve shown there before. I know, I know… this is not the season for such wool and styles.. but, who cares? This is one of the many ideas they’ve recently been going around in my head. You know when you keep thinking ‘I wonder how it would be to work with that yarn? What about this idea? How would it look like?’… Well, I stopped thinking about and started making it! The first item to be made was this Skull Neck Warmer by Birdface. I loved her design as soon as I saw it some time ago and wanted to try it out – finally I’ve done it. 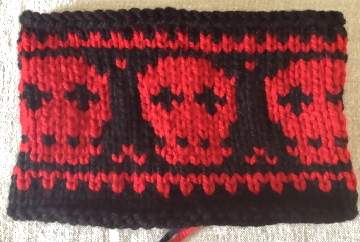 As the skull pattern reminded me of Goth designs, I used the typical colour scheme black/red. 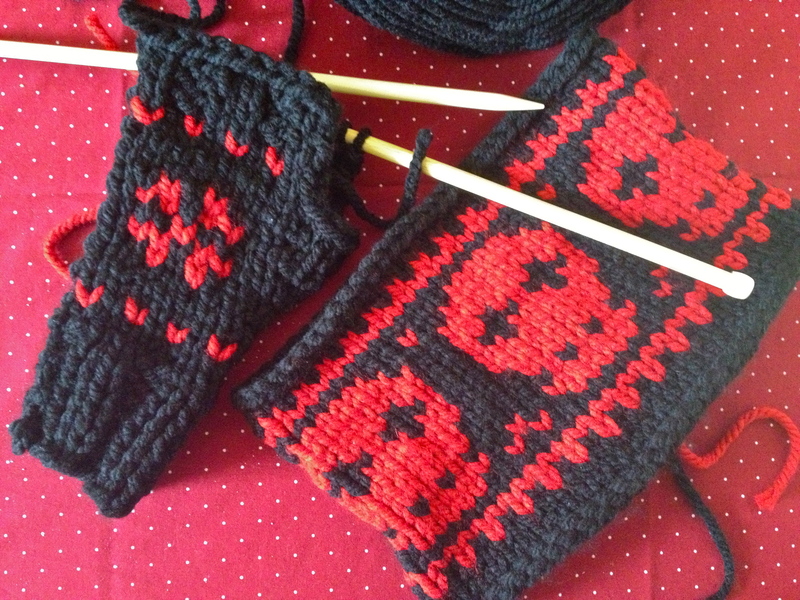 Skull neck warmer: the original free pattern by Birdface and my Goth version. I also wanted to create more accessories in the same style and drew some things myself. The first piece I made was the neck warmer above. 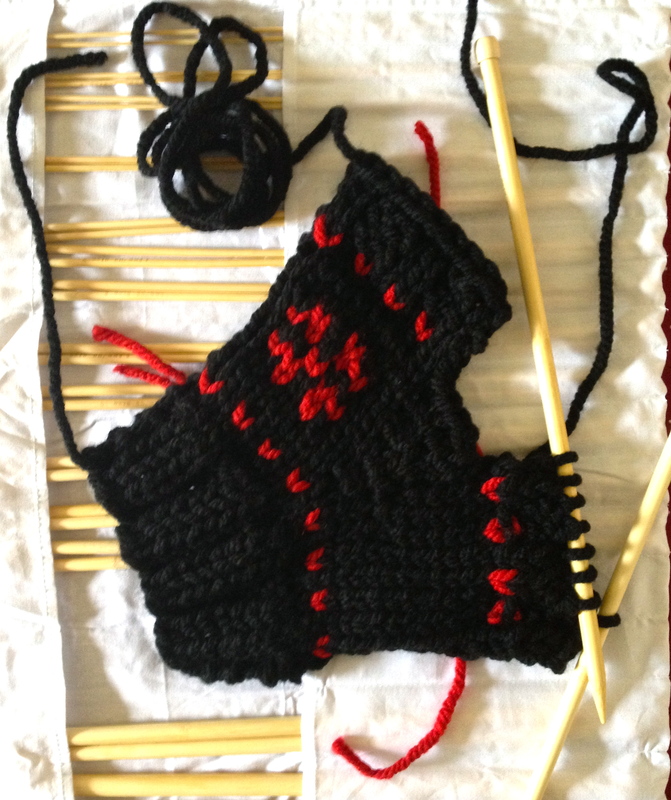 Then I tried my own G♥th fingerless mitts – well, at the moment there is still just one of them! 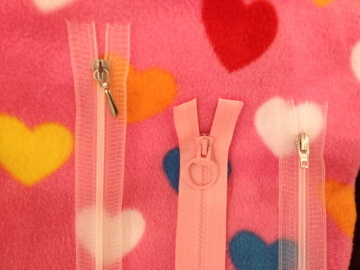 I will work on more items and try to finish them – wave ends in, etc… all the fun work. In the meanwhile, forget about thick wool and enjoy the nice weather! A crazy fabric I just bought; very bright and pop… just something completely different, of course!